Britain's Non Stanford and Vicky Holland qualified for the Rio 2016 Olympics with a top-three finish in the World Triathlon Grand Final. 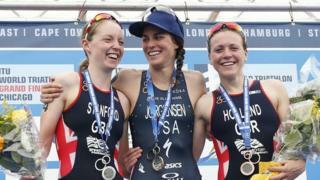 Stanford was second and Holland third behind winner Gwen Jorgensen in Chicago. 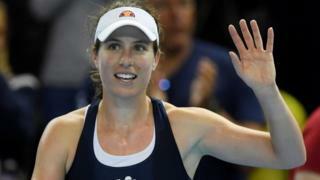 American Jorgensen broke away on the run to claim a second successive world title with her 15th victory in a row.